Mr. Gates is the latest U.S. tech executive to risk ridicule by speaking publicly in Chinese, joining Facebook’s Mark Zuckerberg and Uber’s Travis Kalanick. But his brief, accented remarks made clear that while he might rival Mr. Zuckerberg in entrepreneurship and philanthropy, the Microsoft Corp. founder is a less formidable challenger in Chinese oration. “His Chinese pronunciation is not quite as good as Zuckerberg’s,” announced China’s official Global Times newspaper on Weibo, China’s equivalent of Twitter. Mr. Gates’s attempt at Chinese was occasioned by the launch of his new WeChat account “gatesnotes.” In China, public figures often use WeChat official accounts to share their opinions and musings with fans. For foreign business leaders, WeChat has become a go-to option as both Facebook and Twitter are blocked in China. Mr. Gates’ new WeChat account appears to be a Chinese version of his English blog by that name. It is easy to be cynical about this. The gift is a move taken straight out of a Silicon Valley public-relations playbook, ahead of Alibaba’s expected initial public offering this year, which could value the company at $150 billion. But it could still have a remarkable effect not just on China’s fast-expanding class of super-rich, but also on its government. 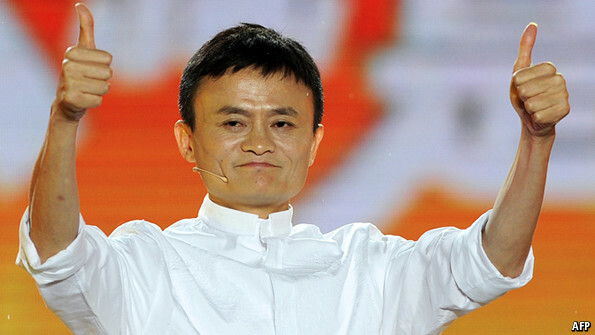 China’s wealthy are a notoriously stingy lot. When two of America’s best-known philanthropists, Bill Gates, who has advised Mr Ma, and Warren Buffett, visited the country in 2010, a meeting they held was notable for the number of Chinese tycoons who stayed away. Of 122 billionaires around the world who have signed the Giving Pledge promoted by Messrs Buffett and Gates, promising to give away half their wealth by the end of their lives, not a single one is Chinese, even though China now has 358 billionaires, one-fifth of the global total. The main reason for this is fear: many have made their money in the shadows of a supposedly socialist country, so few of China’s rich are keen to identify themselves publicly. China’s princelings, related to the leadership, are often the least enthusiastic of all, especially when the regime of Xi Jinping, China’s president, is condemning corruption, albeit selectively. Having made his money more publicly, Mr Ma may be an exception, but his foundation still adds pressure on other Chinese tycoons. Mr Xi should help, by publicly applauding Mr Ma and by making all donations tax-deductible. It is also a prompt for Mr Xi to promote civil society. With its countryside teeming with poor children needing education and old people needing health care, the regime has decided to give non-governmental organisations (NGOs) more freedom to operate, under party scrutiny. Mr Xi needs to let them play a larger, more independent role. This highlights the party’s central dilemma: it is scared of allowing independent groups of citizens to flourish and help solve problems, and yet that is exactly what China needs. As long as civil society is kept weak, China’s social problems will get worse. Passing a new charity law, stalled for years, to clarify charities’ legal status would be a useful step in the right direction. The question for Mr Ma is how far he is prepared to nudge the regime in this direction. His public stance is, sensibly, that he wants to work with the government, not confront it. But the areas he is likely to focus on—education, health care and the environment—matter enormously, and technology can spur political change. Mr Ma recently launched kits for smartphone users to crowdsource data on poor water quality across China, a sly dose of insurrection. Carnegie became famous not just for the money he gave away and the example he set to other philanthropists, but for the way he prompted the American government to embrace education, civic programmes and social reform. Mr Ma’s money and example can do the same for China, if only the Communist Party will allow it. via Philanthropy: China’s Carnegie | The Economist. Microsoft Corp. has named company veteran Satya Nadella as its next chief executive, an appointment that comes as the software giant faces competition across all fronts of its business. The company also said founder Bill Gates, who previously was chairman, moves to a new role on the board as technology adviser and will devote more time to the company, supporting Mr. Nadella in shaping technology and product direction. John Thompson, who was formerly the lead director, will become chairman. Mr. Nadella’s naming to the post, effective immediately, makes him the third CEO since the Redmond, Wash., company was founded in 1975. He succeeds Steve Ballmer, who in August announced his plans to retire. Mr. Ballmer was originally handed the reins in 2000 when founder and college friend Bill Gates stepped aside after 25 years. The appointment of Mr. Nadella, who is 46 years old and leads the Microsoft division that makes technology to run corporate computer servers and other back-end technology, will be considered a safe choice. He has signaled a desire for continuity, telling directors that, as CEO, he hopes to lean on Mr. Gates, according to several people familiar with the matter. Little in Mr. Nadella’s public history at Microsoft suggests he will break from the company’s pattern as a fast follower, rather than a trend setter. 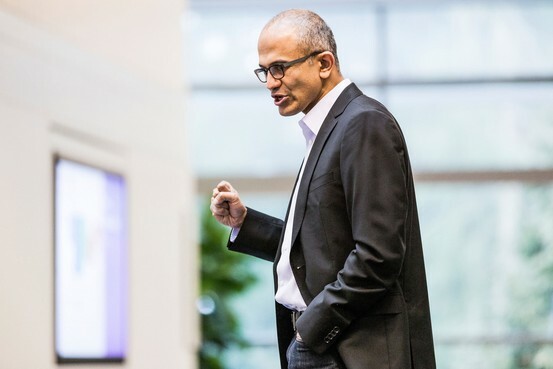 via Microsoft Names Satya Nadella as CEO – India Real Time – WSJ. India’s rising economy and burgeoning middle class have earned it a place alongside China as one of the world’s indispensable emerging markets. But what is India’s true potential? And what can be done to unlock it? In Reimagining India: Unlocking the Potential of Asia’s Next Superpower, McKinsey brings together leading thinkers from around the world to explore and debate the challenges and opportunities facing the country. The book’s contributors include CNN’s Fareed Zakaria; Microsoft cofounder Bill Gates; Google chairman Eric Schmidt; Mukesh Ambani, the CEO of India’s largest private conglomerate; Harvard Business School dean Nitin Nohria; and Nandan Nilekani, cofounder of Infosys and chairman of the Unique Identification Authority of India, as well as a host of other leading executives, entrepreneurs, economists, foreign-policy experts, journalists, historians, and cultural luminaries. via Reimagining India | McKinsey & Company. NY Times: “You could be forgiven for thinking that safety is the top concern for travelers brave enough to venture on Indian railways. It’s not. Unclean toilets appear to be their main grouse, according to a recent survey. Across India, toilets appear to be the new battleground on which wars are being waged, whether it’s about hygiene, austerity, gender equality or corruption. On India Ink, we’ve previously written how sanitation is a dump in India, with more than half of all households having no toilet facilities. Even Bill Gates, one of the world’s richest people, has made his new mission to “reinvent the toilet.” “One of my ultimate dreams now is to reinvent the toilet — find a cheaper alternative to the flush toilet that does not require running water, has smell characteristics better than the flush toilet and is cheap,” he told the Times of India newspaper. But it’s mostly the women in India who are paying a price for toilets -– literally. On Thursday Jim Yardley wrote in The New York Times that unlike men, many women in Mumbai often have to pay to urinate –- an injustice that has started a “Right to Pee” campaign. Toilets have also been flushed into the austerity debate last week, when India’s Planning Commission ran up a 3 million rupee, or $54,100, bill for renovating the toilets at its headquarters, a move viewed by some as lavish and a drain on public funds. That was followed by news that the western state of Goa had given 2 million rupees, or $35,700, to build a single air-conditioned toilet in the constituency of the former chief minister of the state. via Toilets Become a Battle Cry in India – NYTimes.com. See also: Will India overtake China in 25 years?